In the first of a series of blog posts based on recent analysis into the research and knowledge systems in fragile or conflict states, Jon Harle considers South Sudan. 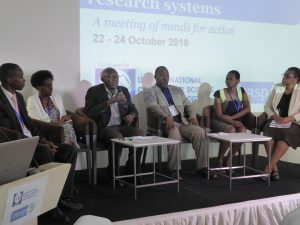 For over a decade INASP has been working to develop research and knowledge systems across Africa – from Ethiopia to Zimbabwe. In 2014 we began a new pilot project in Sierra Leone. In 2015 we began to think about working in other countries – countries which often go under the label of fragile or conflict states, but which might be better described (borrowing Alex de Waal’s term) as “difficult places”. We identified three countries to begin with: South Sudan, Somalia and Liberia. Our first step was to develop our understanding of these countries. To what extent was research being done? Was it even a priority for states and communities struggling with providing basic services and managing within varying degrees of violence and conflict? If research did feature, who was doing it, and what were they researching? What constraints did individuals or institutions face? What was the role of knowledge or evidence in policy making or in the day to day work of providing key services? We have published a series of “viewpoints”, and over the next few weeks we will be introducing each of these with a blog post. The use of “viewpoints” is a deliberate choice of words. These aren’t fully comprehensive accounts, and they’re not the result of deep fieldwork. But they are written by local analysts with deep experience of the countries in question, in most cases born and raised. We’re publishing them in this way because we want to encourage feedback and comments. In doing so we hope to build a richer picture for our own work, as well as to benefit others working in this space. We also realize that we can’t separate research and knowledge systems from broader social and political currents in a country. So, as well as encouraging our local contributors to include these dynamics in their own pieces, we’ve also included a further political analysis, to help set what we’re learning about research systems in context. Our first paper looks at South Sudan, the world’s newest state, formed on 9th July 2011. As Jok Madut Jok writes in his introduction, “South Sudan is a country born of war”. Ten years after the signing of the peace agreement with the north, and five years since the new state was born, life for many South Sudanese continues to be hard, with health, education and livelihoods deteriorating, many people displaced as a result of fighting, and basic safety threatened by continuing violence. 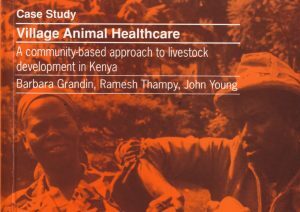 It’s easy to see a research and knowledge system as something of an unnecessary luxury within an environment of such urgent humanitarian needs. But even in difficult environments, research can play a role and, as Jok notes, a lack of high-level expertise has been a contributing factor to the disappointments of the post-independence period. This has resulted in a national planning process largely driven by donors and a situation where “nationally important decisions are made in a vacuum”. 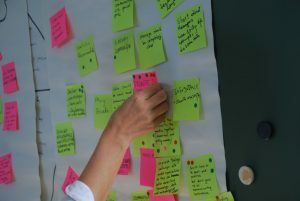 “Any knowledge generated is often destined for foreign journals, NGO offices, UN and donor agencies, but it is hardly ever used as a way to improve national public policy at government level in-country… even the NGOs that produce this research do not use or keep it institutionally… [which] means that new staff often have to ‘reinvent the wheel’ ”. This is by no means unique to South Sudan – and is a subject I’ll pick up on in another blog – but it’s an important point to reflect on. 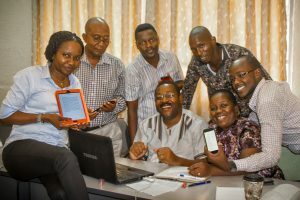 The importance of domestic research and knowledge systems inspires much of INASP’s work; without a strong national system for producing, communicating and using research, and for developed expertize and skills through higher education, countries like South Sudan will struggle to determine their own futures. Many of South Sudan’s institutions of research and higher education were damaged by years of conflict, but post-independence efforts began to rehabilitate these and to establish new centres of research, training and analysis. Research activity is limited. Most research is consultancy work, commissioned by donors and NGOs. Universities are hampered by a lack of equipment, qualified staff and IT facilities. The quality of work produced by public research institutions is often weak. A number of independent think tanks have emerged, run by South Sudanese academics and practitioners, but they struggle for funding. While government is clear about its priority areas, it invests relatively little in research and does little to facilitate it – through assisting or enabling researchers to obtain permits, for example. Research use by government is limited by unclear channels for communication, the distrust of officials, or an aversion to criticism. Only the University of Juba is accredited to run postgraduate programmes but most operational programmes are at bachelors and master’s level. Access to computers is limited. For example, 40 students share each computer at the University of Juba. Internet cafes, smartphones and tablets have improved access to online information – but this requires personal investment. Access to journals and books is limited, and it is difficult to download large files. Pre-loaded USB drives, supplied through collaborations with foreign universities and NGOs are a source of information for some. Women’s participation, as knowledge producers, supervisors or practitioners is low, particularly at senior levels. There are five men to every woman in higher education institutions. Indigenous NGOs and civil society groups share information between them and these informal networks provide important ways for knowledge to circulate. We hope by publishing this analysis openly that we can invite others to share their own perspectives on the ways in which research and knowledge are produced, shared and used in South Sudan. You can download the report below and we invite comments either in the box below, or by email to jharle@inasp.info.